Carlo Ancelotti’s side slipped from being Group C leaders to a third-place finish after losing 1-0 to Liverpool in their final fixture due to Mohamed Salah’s 34th-minute goal. It means Napoli will now compete in the Europa League with the Italians expected to be one of the front-runners for glory this season. 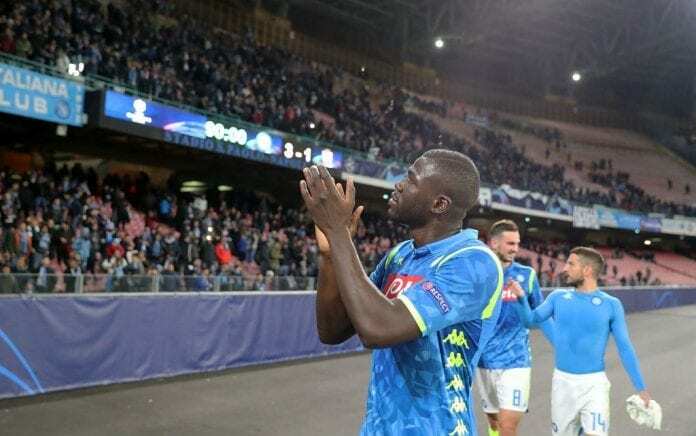 “We will have to give everything in the Europa League to go as far as possible, and even try to win it,” said Koulibaly, according to Daily Mail. “We know it won’t be easy because now we are the favourite for it. 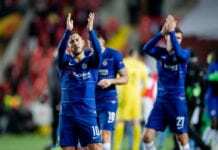 It will be a difficult competition because there are good teams in the Europa League. The Senegal international was naturally disappointed with Napoli’s near miss in reaching the Champions League knockout stages. “We were so close. When the group stages started, many people saw us already out of the Champions League,” he added. “We are very sorry because we could have surprised everybody and we couldn’t do it. Napoli will next face Cagliari away in the Serie A on Sunday.